Home Biafra Nnamdi Kanu JUSTICE BINTA NYAKO DO THE RIGHT THING OR CRIPPLE YOUR CAREER. JUSTICE BINTA NYAKO DO THE RIGHT THING OR CRIPPLE YOUR CAREER. In the history of dictatorship in this modern world, Buhari's government has been the most influential with the molestary method and under the masquerade of democracy where corruption accelerates on daily basis. President Muhammadu Buhari has committed more crimes than President Augusto Jose Pinochet, the former Chilean President, still, Buhari pretends to be a saint even with the key and capital evidence of evil written all over his body, his body language signals violence, killings and intimidation against Biafrans, Christians and Shiite Muslims. Everybody is waiting for Buhari (the presidency Abarakatabra) to unfold his next evil plans to influence, intimidate the judicial system and media as usual with his political and religious slave Mr Lai Mohammed who is in charge as the minister of Information and Cultures. Nigerian government even lie when there is physical and provable evidence against them, they lied against live cameras, photos and videos. 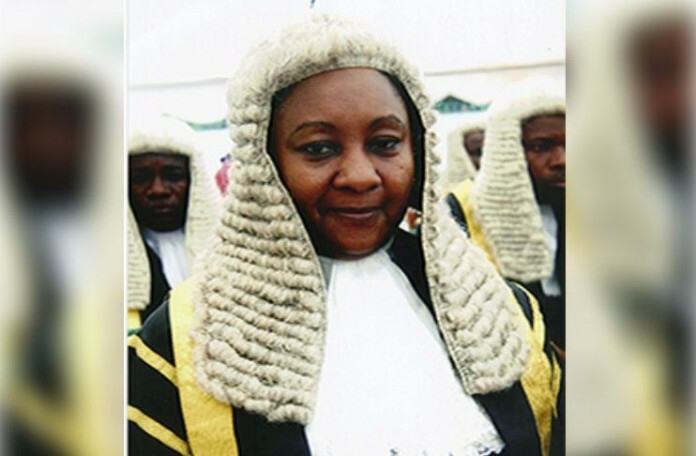 Justice Binta Nyako, you still have to redeem your little or no image left in your legal career because the case of the leader of indigenous people of Biafra (IPOB), Mazi Nnamdi Kanu will expose you, expose South-East governors/politicians, expose Ohaneze Ndigbo and Buhari's government further. The world is watching with keen interest and also waiting for the Nigerian government to produce Mazi Nnamdi Kanu, the leader of IPOB on 17th October 2017 on the court day. Binta Nyako should remember and resight what 1999 constitution said on section 40 of the federal high court Act F12, LFN 2005 and section 6(6) (1) (4) as amended and I quote "an order of Habeas corpus and Subjiciendium, Commanding the respondent to produce the Applicant in Court" which means that Burutai (respondent) is expected to produce Mazi Nnamdi Kanu (Applicant) in court on 17th October 2017. I had chronic obstructive pulmonary disease (COPD) for 15 years. My first symptoms were dry cough, chest tightness and shortness of breath. My first chest x-ray only showed bronchitis. Finally I went to a pulmonologist, After many tests it was a CT scan that showed COPD, and scarring in my lungs. I quit smoking 17 years and 6 months ago. But the damage has been done. I got to the point I couldn't catch my breath and was coughing so hard I thought the top of my head would blow off. The day after I had the scan I was on oxygen the next night and was on it 24/7. December 2017 my pulmonologist and I decided to go with natural treatment and was introduced to Mbeki Herbal Clinic natural organic COPD Herbal formula, i had a total decline of symptoms with this COPD Herbal formula treatment. The infections, shortness of breath, fatigue, dry cough and other symptoms has subsided. Visit Mbeki Herbal Clinic official website ww w. mbekiherbalclinic. com or email [email protected] mbekiherbalclinic. com.